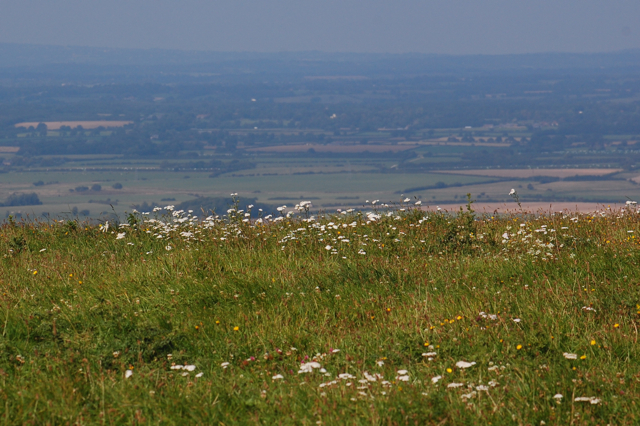 I finally managed to get out onto the top of the Downs last week to collect my harvest of yarrow. It was the prefect day for it, with bright sunshine to dry off the dew without being so hot that the volatile oils were too quick to evaporate. Now the tincture is steeping away and the flowers are dried for teas so it seems like the perfect time to share a few words about this most valuable of healing remedies. Yarrow atop the South Downs. Despite being one of the most important medicines in my healing repertoire, I have been avoiding posting about yarrow for quite sometime. This is for the simple reason that it is useful for many things it’s hard to know where to start, yarrow really requires an entire book to itself! For simplicity’s sake I will stick to the basics here but I will revisit this wonder herb with more specific information in the future. 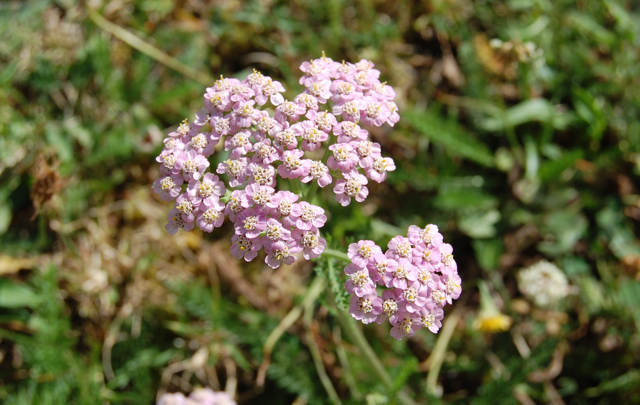 Yarrow is a common weed native to the Northern hemisphere that grows freely in grassland, chalk land, roadsides and other sites with well draining ground. 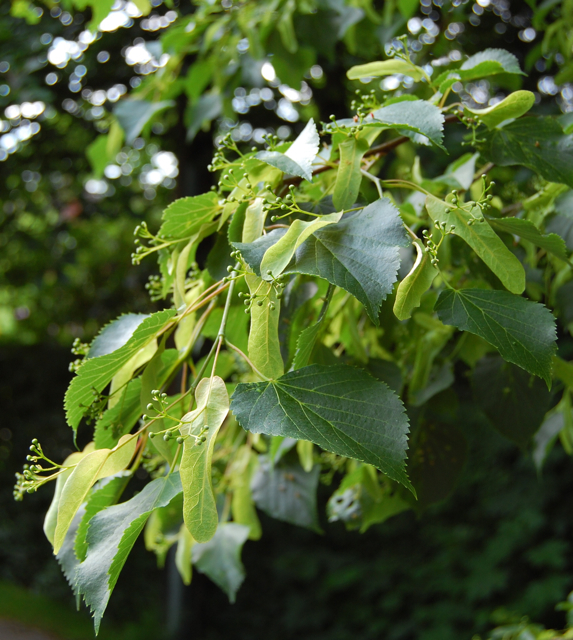 It is instantly recognisable due to its feathery leaves, strong stems and broad white flower heads made up of many small individual flowers. This is perhaps yarrow’s most famous and most ancient use. 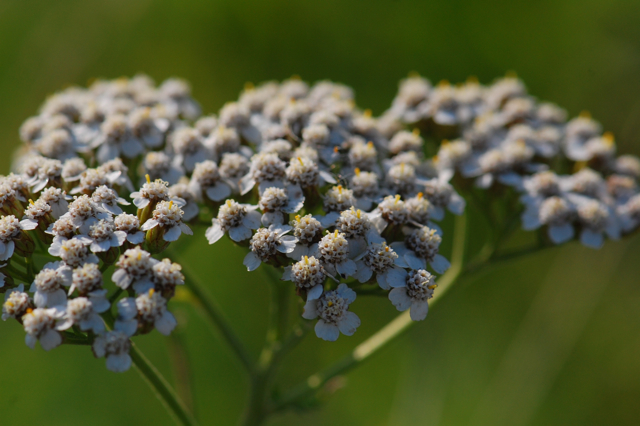 Yarrow was found amongst other medicinal herbs in the Neanderthal burial site in Iraq which dates from around 60,000 BC and has become famous in herbal medicine as one of the earliest indications of human’s use of medicinal plants. Myth tells us it was given to Achilles by the centaur Chiron so he could use it on the battlefield and its Latin name, Achillea millefollium, still reflects this tale. 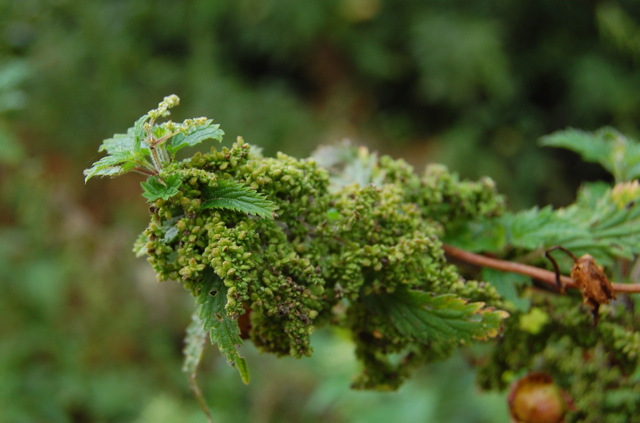 Its common names too included Soldier’s herb, herba militaris, Knight’s milfoil, carpenter’s grass and nosebleed. Yarrow is one of the most useful wound herbs we have as it staunches bleeding and is antimicrobial and pain relieving too. It’s next greatest claim to fame is it’s ability to make us sweat. 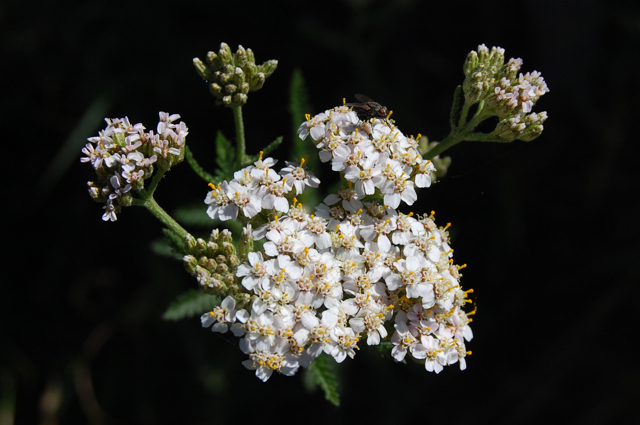 When fever is building, drinking hot teas of yarrow can help it to break by relaxing the circulation and the pores of the skin, allowing us to sweat freely and ridding the body of infection. 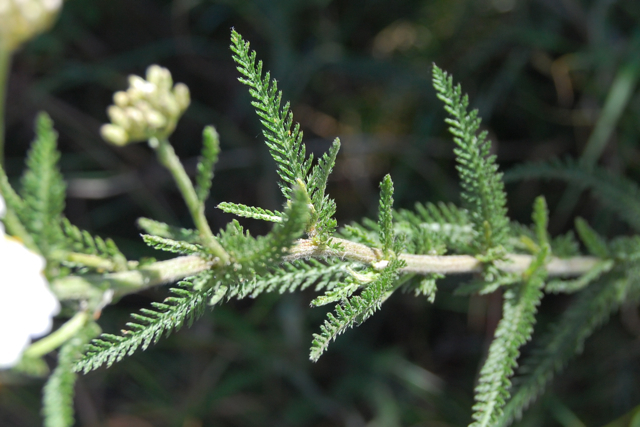 Dr Christopher once wrote, “Yarrow, when administered hot and copiously, will raise the heat of the body, equalise the circulation and produce perspiration.” It may seem inadvisable to raise the body heat in cases of fever but by using yarrow we are supporting the body in responding to infection naturally. The classic formula for colds and flus is yarrow, peppermint and elderflower which should be drunk as a hot tea as soon as possible. The the patient should then wrap up warmly, keeping a hot water bottle at their feet and wait to sweat. When there is a high body temperature but no sweating, this formula is especially useful to help release the heat via the skin. 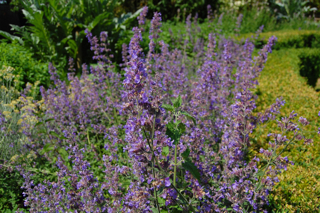 Now is the time to get these herbs in stock before the cold and flu season strikes. 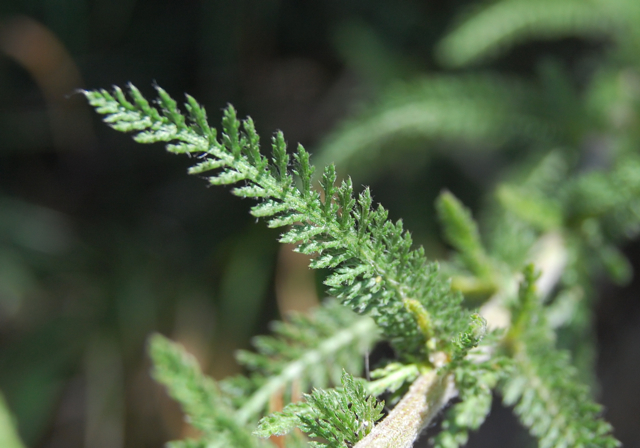 Yarrow’s affinity for the blood and circulation can be seen internally as well as externally. It tones the blood vessels at the same time as dilating capillaries and moving the blood, thus giving it a wide range of applications. 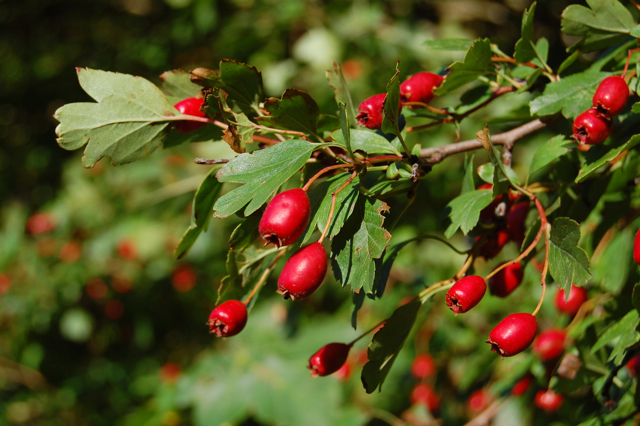 It has been used to treat high blood pressure, often in combination with Hawthorn and Lime blossom and it has a reputation for being able to prevent blood clots. It’s tonifying action makes it particularly useful for treating varicose veins and haemorrhoids. 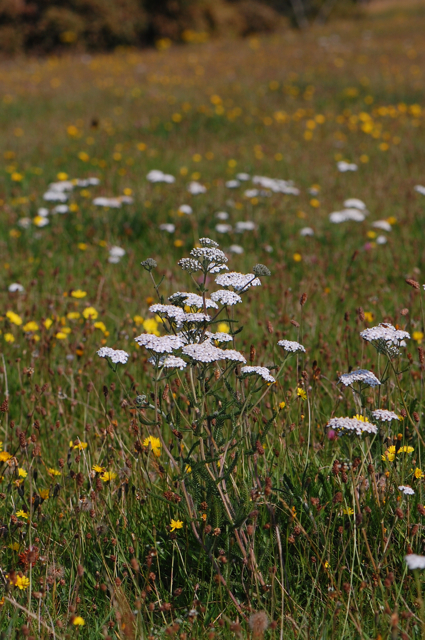 Yarrow really is a great equaliser, it moves where necessary and tones where needed. This dual action is what has given it is reputation for being able to both cure and cause nosebleeds! 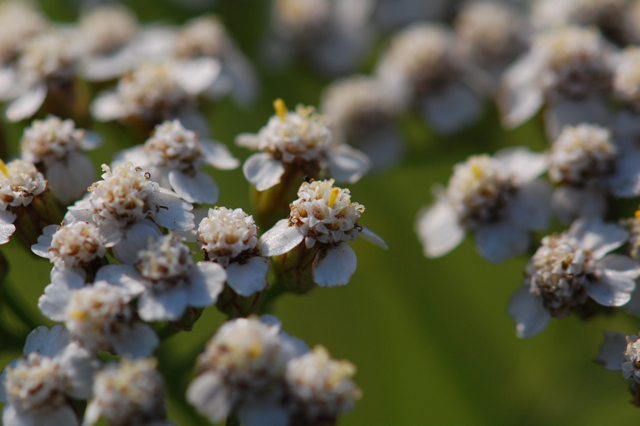 Being bitter, pungent and aromatic means that yarrow is particularly useful for stimulating the digestion and getting the bile and pancreatic juices flowing. Because of it’s affinity to the circulation as well it can help move congested blood in the portal vein which, in turn, helps the liver. Matthew Wood talks about using it for colitis and diverticulitis because of it’s ability to tone and heal the mucus membranes of the digestive tract. It was also an old traditional remedy for bloody diarrhoea and dysentery. Maria Treben considers yarrow “first and foremost… a herb for women” and quotes Abbe Kneipp in saying “women could be spared many troubles if they just took yarrow tea from time to time.” It is such a wonderful herb for the reproductive systems because it can both staunch heavy bleeding and stimulate scanty bleeding. It is also wonderful when there is congestion resulting in dark clotted blood and period pains. It is useful for vaginal infections or irregular discharge as well as spotting between periods. If we think about some of the ways in which yarrow might work we can start to draw together all these different facets of it’s healing ability. When you taste yarrow it is pungent and aromatic with quite a bitter aftertaste. The volatile oils which make it so aromatic and warming are dispersive in nature and therefore are one of the things that gives yarrow this wonderful ability to move congestion and stagnation, equalise the circulation and open up the skin. 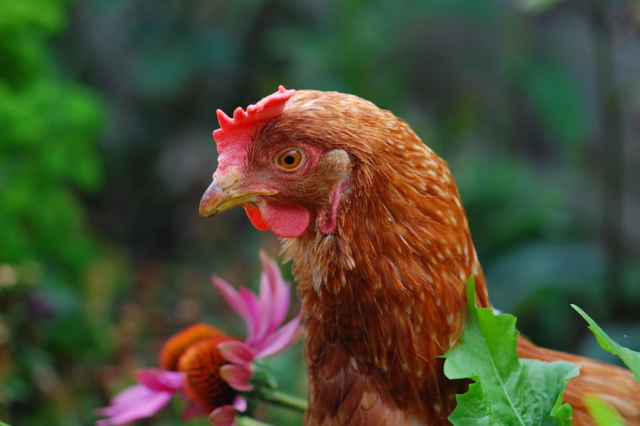 Volatile oils are also often anti-microbial. The bitterness balances it’s warmth with more cooling qualities and also stimulates the digestion. Though the bitter gets our juices flowing and the aromatic qualities get things moving, you can also tell yarrow is an astringent which is what makes it so helpful for toning blood vessels. It may seem like a plant of contradictions but yarrow is just another example of how wonderfully complex our herbs can be. They demand that we know them, rather than just a list of their actions, and that we let go of linear thinking and delve into the realms of experiential understanding instead. Tea – Take hot for colds and flus and warm or cool for cystitis. Or use as a wash for grazes or rashes. Tincture – For chronic congestion in the reproductive system and high blood pressure (teas could also be used here). Baths – For skin irritations. Sitz baths – For cystitis, vaginal infections, bleeding fibroids, haemorrhoids, post-partum healing, heavy periods etc. 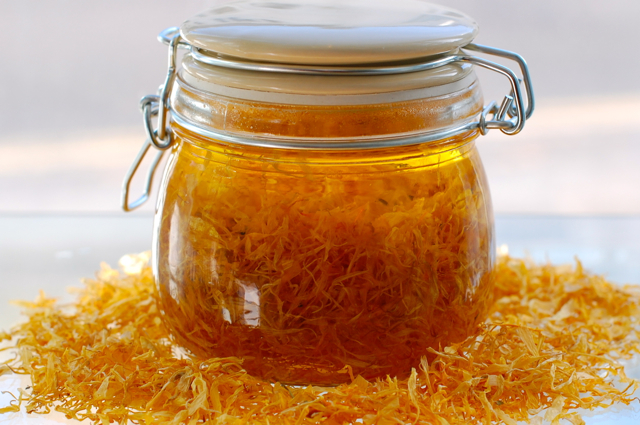 Infused Oil – For first aid healing ointments or soothing creams for irritated skins. 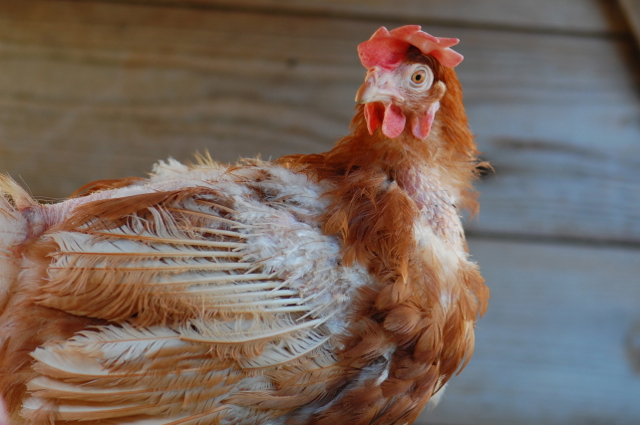 Poultice or Compress – Spit poultices for wounds and first aid situations, compresses for larger areas of grazed skin. 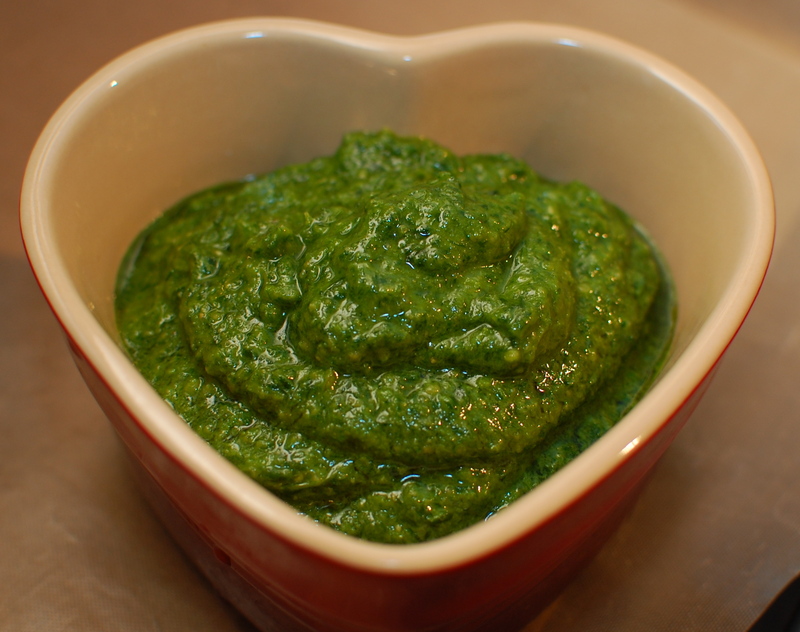 Wound powder – Finely powdered dried herb can be sprinkled on minor wounds. Spray – The tincture or herb infused in witch hazel can be sprayed on to varicose veins to tone and move stagnant blood. Flower Essence – Said to be protective for those who are overly sensitive to their environments and the emotions of others. 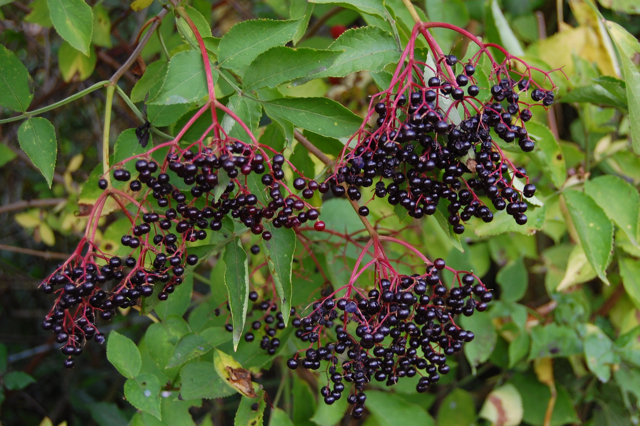 Essential Oil – A wonderful anti-inflammatory for skin conditions. Please note, yarrow is best avoided during pregnancy. Yarrow was also considered a sacred herb by many cultures of the world and has lots of interesting folklore attached to it. I’ll save that for another post though! For many people anxiety and stress go hand in hand with a tense stomach and disturbed digestion. Whilst stress affects digestion in everyone, some people are particularly prone to experiencing problems. All digestive issues, from gas to inflammatory bowel conditions are affected by stress, even if there are many other contributing factors. Our digestion is controlled by the enteric nervous system which is linked to the central nervous system by millions of nerves. When we are stressed we enter the ‘fight or flight’ response which priorities blood flow to the brain and muscles in case we have to run from or outwit a possible danger. This is, of course, useful in situations where there is a real threat but for many of us, our constant deadlines, hectic schedules and million and one expectations lead to a chronic state of stress in which the blood flow to the digestive organs is seriously impaired. Stress causes everything to contract and constrict and can therefore affect the production of digestive juices, cause the stomach and or intestines to spasm, create inflammation and encourage infection. When stress becomes chronic, so do digestive problems. 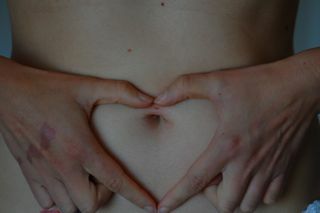 Goethe believed that the gut was the centre of all human emotions. When I used to practice as a massage therapist I would always ask people first if they wanted me to massage their stomach as many people dislike being touched in this area. I can notice this in myself too, if I am feeling anxious at all then my stomach feels far to sensitive to touch. This is because the nerves are all activated, leaving us with sensations such as ‘butterflies in our stomach’ or that awful knot of fear in our solar plexus. There are many herbs that work on the interface between the nerves and the digestion- Chamomile, Cardamom, Rosemary, Lavender, Lemon Balm and other Mints to name just a few. All these are aromatic, therefore diffuse stuck energy and tension at the same time as stimulating digestion. 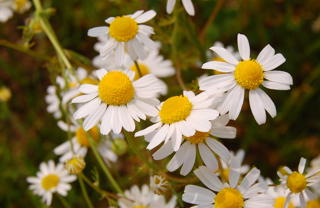 A calming cup of chamomile tea, taken 2 or 3 times a day, is a great way to gently soothe your nerves and digestion. Specific conditions will need individualised treatment but for those who suffer more general digestive disturbances related to stress these herbs can be very useful. At the moment, everyone I am seeing has some level of stress related digestive disturbance, even if that is not the primary reason they are seeking treatment. Recently I saw someone who was so tense that their appetite had disappeared almost completely, a sure sign that the digestive organs are very constricted. I came up with this tummy rub as a way of not only relaxing the digestive system but also encouraging people to take a few moments in their hectic schedule to be fully present with themselves, take some deep breaths and become mindful of their state of being. It’s easy to gulp down a tincture or tea on your way to work but you have to take a bit of time to massage your stomach and even if you feel like it’s an extra thing to do in the morning, once you have begun you cannot help but calm down a little. When massaging the stomach, always move in deep rhythmic movements in a clockwise direction (as if the clock were on your abdomen rather than facing you!) as this is the way the intestines move waste along. Take a moment to breathe deeply and become a little more mindful of yourself and the present moment. This need only take a few minutes but that can be enough to relax the digestion, the nervous system and the mind. This makes a blend of approximately 2%, perfect for adults and children over 12. For children between 4 and 12, halve the amount of essential oils and for babies to 4 year olds use 5 drops chamomile only to make a 0.5% blend or stick to chamomile infused oil instead. You could also make it into a salve or balm (see my previous post) if that is your preference. Chamomile is a fabulous essential oil for calming the nerves and soothing digestion, helping to expel bloating, flatulence and gas. Cardamom is warming, carminative and antispasmodic and also has a relaxing and uplifting effect on the nerves. Neroli is one of the best essential oils for the nervous system being deeply relaxing and uplifting. It’s also good for promoting flow of digestive juices. 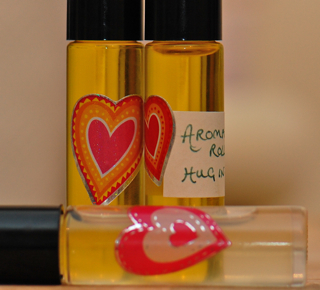 All three are considered children’s oils as they are safe, supportive, caring and calming. I’ve had very positive feedback from those trialling the oil so far and I encourage those of you who also suffer from a tense stomach to give it a go too. 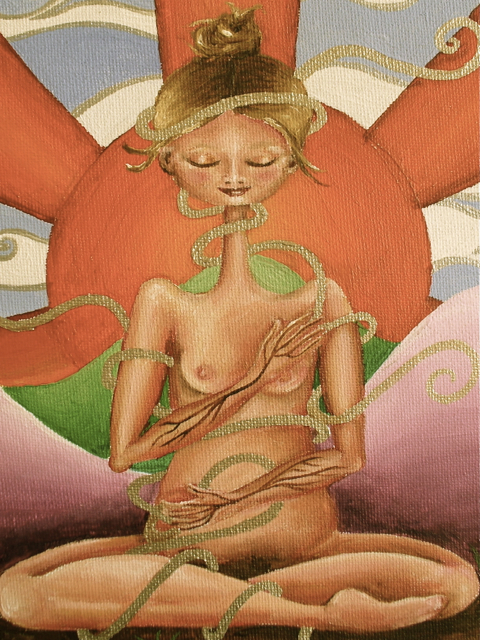 The perfect way to soothe, nurture and let go. 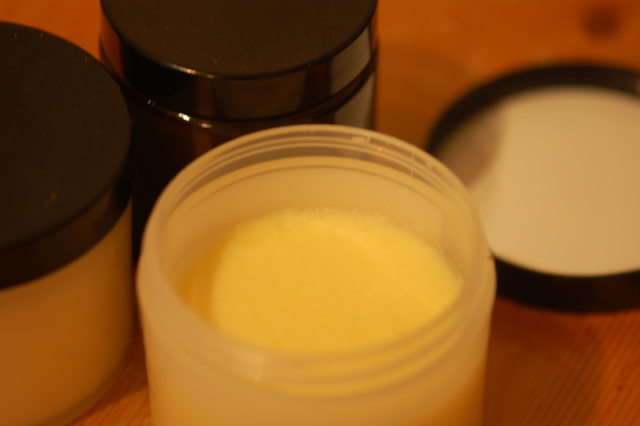 For a long time I was confused about the difference between salves, ointments and balms. Some writers use all three terms interchangeably whilst others have separate definitions, many of which contradict those from other sources. 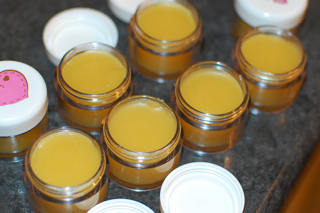 In this post I wanted to tell you a little about how I make salves, ointments and balms with the intention of sharing some hopefully useful tips and practical information. Salves, ointments, unguents, balms, call them what you will, what all these preparations have in common is they are primarily a semi-solid mix of fatty ingredients such as oils and waxes, usually with no water part at all, though they may contain a small amount of herbal tincture or similar. This differentiates them from creams and lotions which contain both fats and waters. 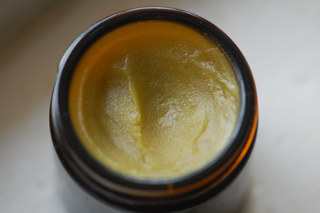 Generally, ointments and salves are considered much the same thing; a healing external preparation made with medicinal substances in a base of oils and waxes. According to the Miller-Keane Encyclopedia and Dictionary of Medicine, Nursing, and Allied Health an ointment is “a semisolid preparation for external application to the skin or mucous membranes. Official ointments consist of medicinal substances incorporated in suitable vehicles (bases). Called also salve and unguent.” All in all the definitions are pretty vague which is probably why we find discrepancies. 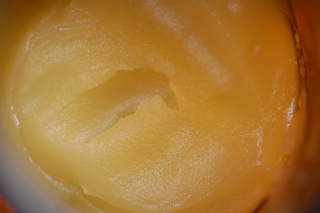 Suitable ingredients for a salve include many vegetable oils (such as olive, sunflower, sweet almond, apricot) and beeswax or vegetable wax such as candelilla or carnuba. In older herbals lard or animal fats were often used and these are enjoying something of a comeback amongst some traditional herbalists but, as a vegetarian, they don’t feature on my radar so I won’t be talking about them here. Many herbal books include recipes made with mineral oil byproducts such as petroleum jelly or vaseline but again, as I don’t work with them, I will not be including any information here. 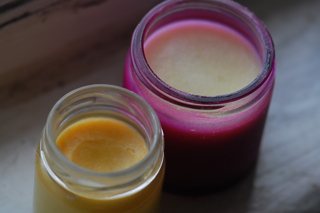 As making salves involves some degree of heat it’s best to use oils that are fairly heat stable, the main ones to avoid are oils like flax seed, evening primrose and borage. If you want to include these then stir them in after the other ingredients have been melted and are beginning to cool. Coconut oil is the most heat stable vegetable oil but as you will not be heating it very high, oils like olive, sunflower and apricot kernal can be happily used. Beeswax comes in two varieties, white and yellow but the white is bleached and processed so I never use it, it’s always better to stay as close to nature as possible. Candelilla wax is derived from the leaves of a shrub native to Mexico and is slightly harder than beeswax so you generally want to use a fraction less in a recipe. Carnuba is a similar product derived from a Brazilian Palm. The advantages of these two is that they are vegan so products can be made that are suitable for everyone. The disadvantage is that they come from a very long way away (at least if you live here in Europe!). It’s a tricky choice as some producers of bee products are far from ethical or kind to their bees. I do use beeswax but always try to get it from a local supplier that I know I can trust. Weigh or measure out the wax (preferably grated or cut into small pieces) and the herbal infused oil and place in a double boiler or bain marie. Heat over a low heat until the wax is fully melted and then stir well. If adding tincture drizzle it in slowly now whilst whisking lightly with a fork. Remove from the heat and allow to cool slightly but not set. You can test the consistency of the salve by dipping the tip of a teaspoon into it. Such a small amount will set quickly and will show you how the finished product will be. If you are not happy you can return it to the heat and add a fraction more oil/wax until you get it just right. 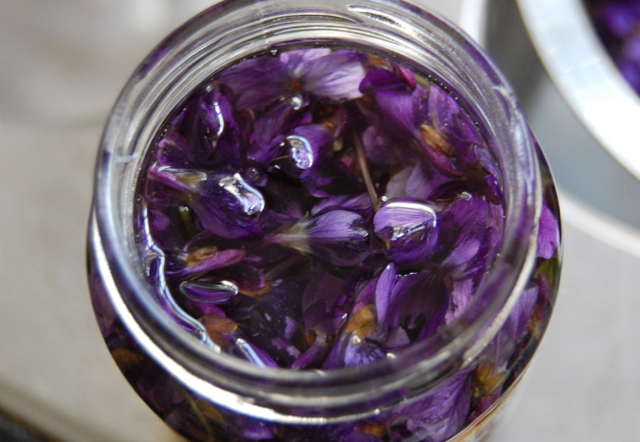 Whilst the salve is still liquid, stir in the essential oils, pour into glass jars and cap immediately to stop the volatile oils from evaporating. Allow to cool and set completely before using. You can make salves for use as chest rubs, for treating aches and pains, for protecting and healing dry and sore skin and many other uses. The recipe can be easily adapted according to your preferences or required ingredients. 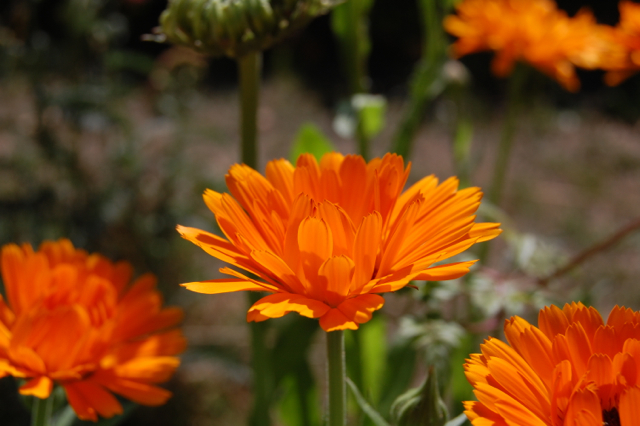 A very simple skin healing salve can be made with calendula infused oil and beeswax or a chest salve with olive oil, wax and 5% suitable essential oils. The possibilities are limitless! Balms are similar to salves, some people class them as the same thing entirely whilst others make a slight differentiation. 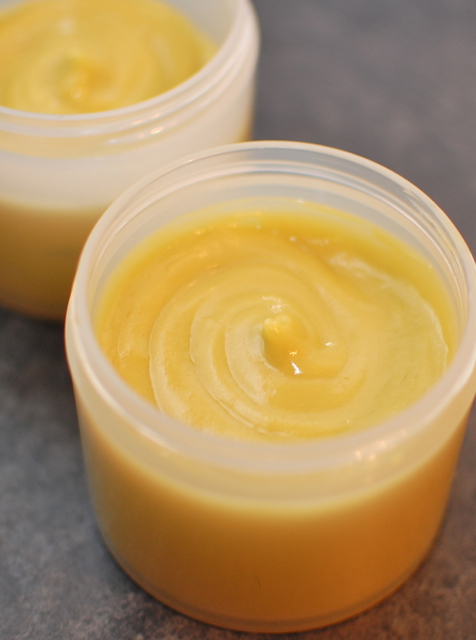 According to James Green who wrote The Herbal Medicine Makers Handbook, “a balm is simply a salve that contains a relatively high amount of volatile oils. 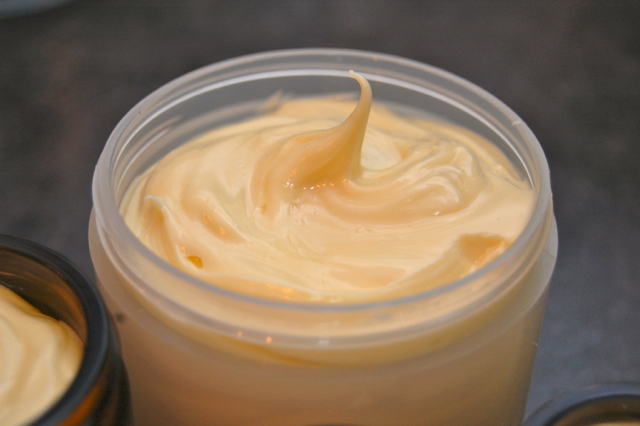 Upon application is delivers a notably intense cloud of aromatic vapours.” My understanding of a balm is that it is a salve that also contains butters such as cacao or shea butter making for a creamier end product. These are just individual definitions though so you can use whichever you prefer. Cacao is fairly hard at room temperature so makes for a slightly firmer end product where as shea is very creamy and therefore a lovely addition to lip balms or body butters. 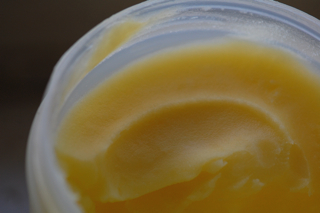 Mango butter is also delicious and has a lower melt point and a more slippery consistency. 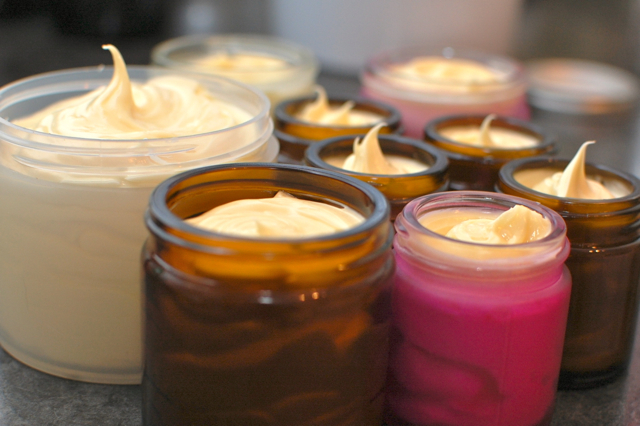 These balms can be made as above by melting the oils, butters and wax in a bain marie then adding the essential oils and vitamin E at the last moment so they will not be affected by the heat. I hope that was helpful rather than just confusing the issue further! Happy making. It’s been exactly a year since I started writing this blog, a year in which I’ve learnt lots and made some lovely blogging friends, at home and abroad. I thought I’d mark the occasion with a small giveaway and a little retrospective of some of my herbal highlights from the year past. I mentioned in our last blog party how I like to make up blends of oils in little rollette bottles that can be easily carried around and applied in a moment of need. This month I’ll be giving away one of my favourites, a blend of rose petal and tilia infused oils with 5% organic essential oils of rose otto, geranium and tangerine. You can apply it to your pulse point or rub a little under your collarbone to experience the heart opening and uplifting effects. As it’s a strong blend of essential oils you wouldn’t use it on your face but more as a natural perfume and instant aromatherapy. Also, the rose petals are infused in sweet almond oil so best to avoid this if you’re allergic to nuts. I wanted to make something small enough to send easily so this is open to everyone, wherever in the world they live. To enter the giveaway just leave a note in the comments with your name. I’ll pull the names out of a hat in 10 days time, that’s Wednesday the 23rd. Now I shall cast my eye back over the last year of nature gazing and medicine making, just click on the links to read any of the posts that interest you. 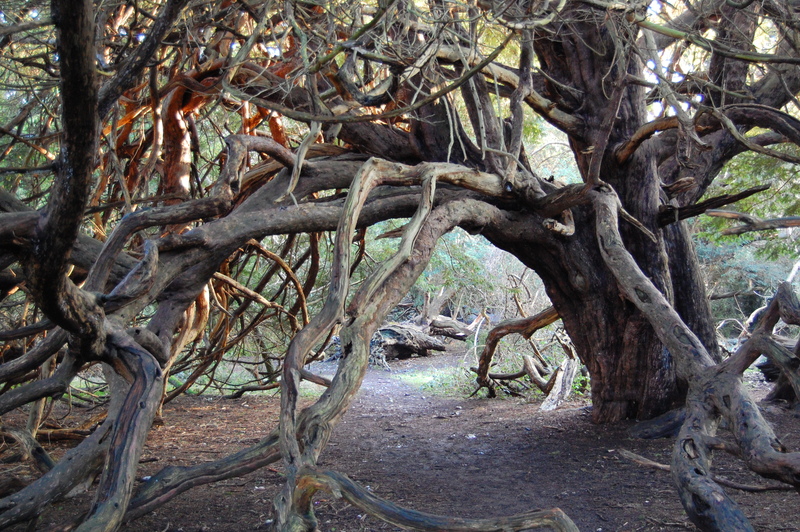 Last February I enjoyed getting to know the Yews in our local area. 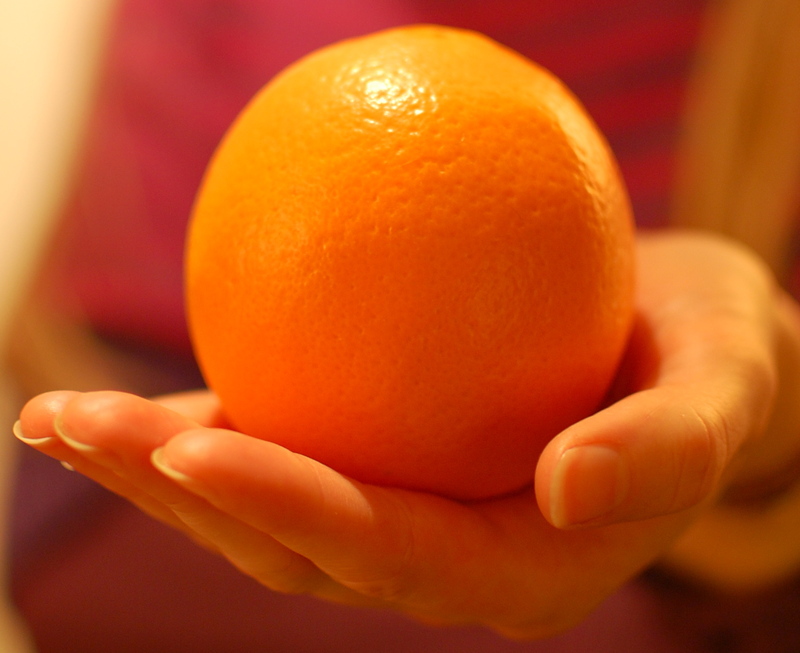 In March I was picking cleavers and having fun in the kitchen with oranges. By April my garden was waking and there was an abundance of Ramsons in the woods. 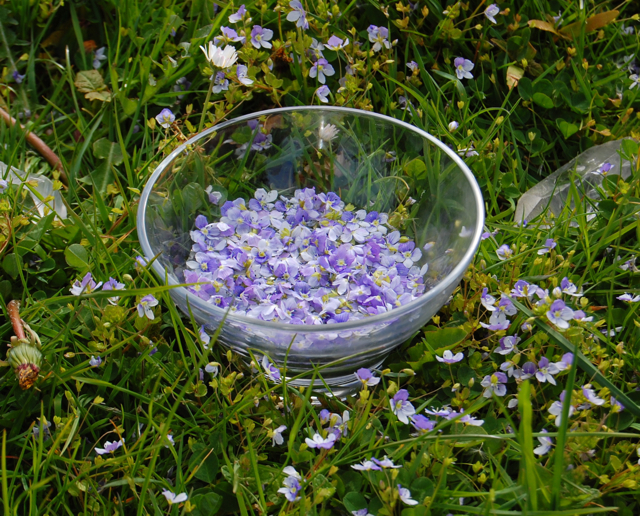 In May I had fun musing on Comfrey, getting to know Speedwell and delighting in Hawthorn. June rolled around and I was to be found in the company of Horsetail and Linden. 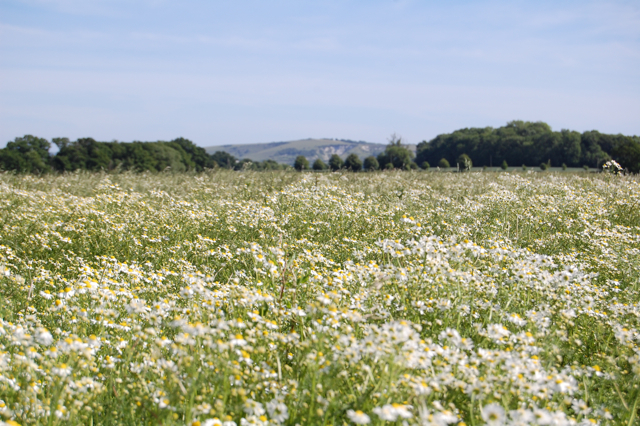 July had me blissed out in fields of Chamomile and discovering Wild Marjoram. Then in August we finally moved out to the countryside and I had fun harvesting nettle seeds along the track leading to our house. Whilst in October I was back spending time with the Hawthorns and warming up with Cardamom. 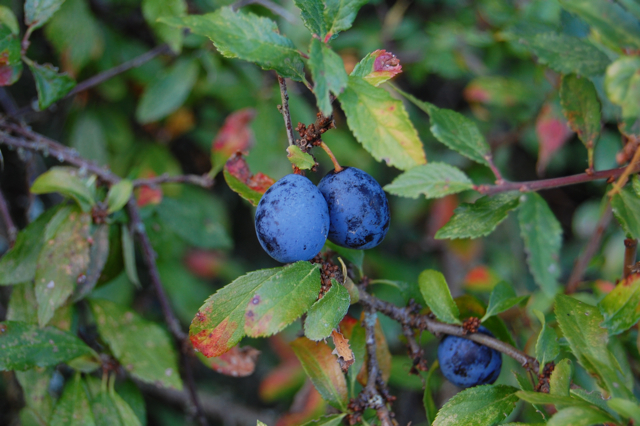 November brought the first frost and with it the sweeter rose hips and sloes. It also saw me digging Nettle roots and enjoying Rosemary medicine. The year ended with a thick fall of snow and I stayed warm with Ginger and calm with inspiration from our ‘no time for stress‘ blog party. 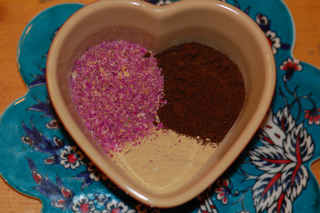 Then in January I mused on detox, enjoyed back pepper and listed some of my favourite herbal hugs. 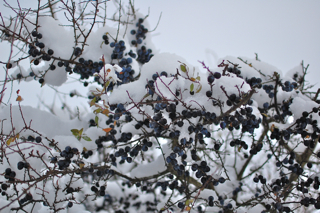 I hope you’ve enjoyed reading this blog and continue to do so as we see what 2011 will bring.